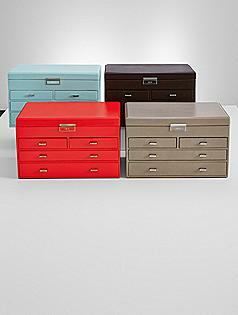 Many people become very intimidated by the mere thought of purchasing jewelry Christmas gifts, and for good reason. For starters, the cost of high quality jewelry alone can be enough to make you cringe. If you have ever been to one of those fancy jewelry stores in the mall or downtown on main street, you probably know what I mean. Unless you plan to make payments on Christmas gifts or you are substantially well off, these specialty shops are probably out of your budget. Of course, you could always shop for jewelry Christmas gifts at one of the big box stores in town, but then you risk getting a much lower quality piece that offers very little character. Before you get discouraged and decide to head over to apparel, however, don’t give up just yet. There are some really great jewelry gift options out there is you know where to look; and of course what to look for. Christmasgifts.com has discovered some really impressive merchants that offer high quality, unique pieces of jewelry and jewelry accessories you probably won’t find anywhere else, and the best part? The prices are delightful, so you will most likely still have a little jingle left in your pocket when you’re done. If you have been considering purchasing jewelry Christmas gifts for that wonderful woman in your life this Christmas, considering a more unique piece that expresses your love for her and reflects her own individual personality is likely your best bet. 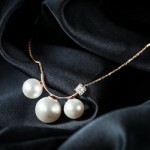 Take this elegant J.ESTINA Perlina Necklace from KSohoBH.com for instance. It features an exquisite arrangement of 3 dazzling crystal pearls that are accented by a shimmering 5 mm. cubic zirconia, all cascading along a gorgeous gold plated chain, and is elegant enough for dinner parties and formal attire, yet still casual enough for more relaxed occasions as well. And if you want to take things a step further this Christmas, there are matching Perlina earrings available as well. 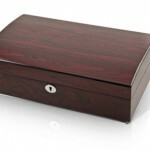 Of course, she is going to need a place to store her jewelry when she isn’t wearing it, so why not consider a unique jewelry box to complete your gift this Christmas? 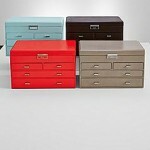 The Personalized Large Leather Jewelry Box available exclusively from RedEnvelope is the perfect treasure chest for women who have a special collection of precious pieces. This luxurious box is crafted with genuine leather and lined with tarnish resistant LusterLoc faux suede to ensure that her most prized possessions are neatly organized and safe. Complete with an abundance of compartments, jewelry hangers and drawers, this unique box can even be customized with a monogram that includes up to 3 initials. Let’s face it, jewelry Christmas gifts aren’t just for the girls! 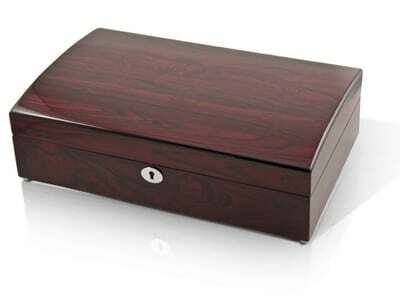 If you are searching for something special for that man in your life, consider the Elegant and Spacious Hi Gloss Rosewood 18 Note Music Jewelry Box designed especially for men this holiday season. Men who have a few special jewelry pieces or an abundance of trinkets will certainly be impressed with the sophisticated style, variety of compartments and high quality workmanship this piece offers. There are a variety of tunes to choose from, and this box can be personalized to make it even more unique. Do you enjoy purchasing jewelry Christmas gifts for your loved ones?